Scottsdale Rd. and Princess Dr. Please note, hours of operation may vary seasonally. Valet parking is complimentary at the front drive of the Resort. Featured nightly, enjoy tequila tastings with one of 220+ varietals of tequila. 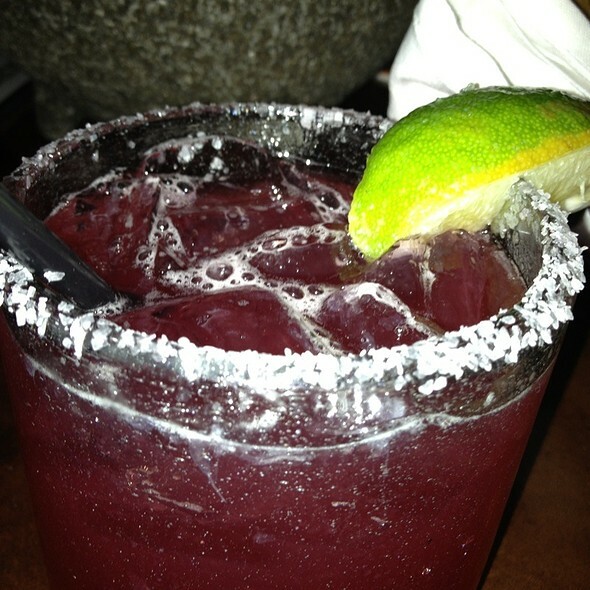 Or you can enjoy one of our freshly made margaritas on our fire pit tables on our patio. Please contact Outlet Sales Manager, Jessica Pate for inquires and information at jessica.pate@fairmont.com. Rotunda Dining Room: 20 seated dinner, 30 cocktail reception. Barbacoa Patio: 100 seated dinner, 150 cocktail reception. Barbacoa & North Room: 180 seated dinner, 250 cocktail reception. Entire Restaurant Buyout: 250 seated dinner, 350 cocktail reception. Contact us today to reserve space for your private function. ¡SALUD! 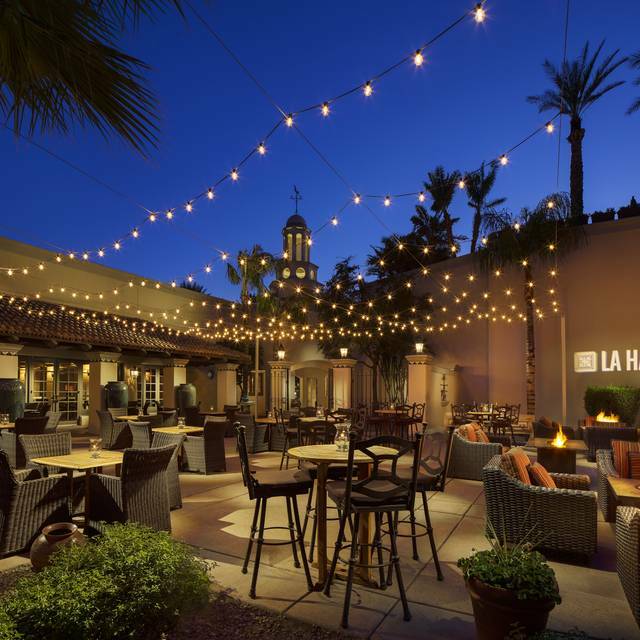 LA HACIENDA | by Richard Sandoval located at the AAA Five-Diamond Fairmont Scottsdale resort. Modern Mexican Cuisine: A culinary philosophy of "old ways with new hands." Authentic Mexican ingredients and contemporary cooking techniques in a modern and casual setting. 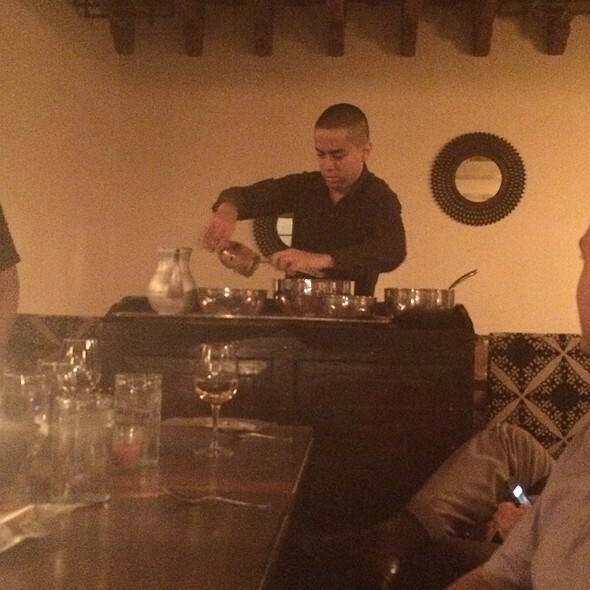 Artisan tequila tastings featured nightly with recommendations from our Tequila Goddess. 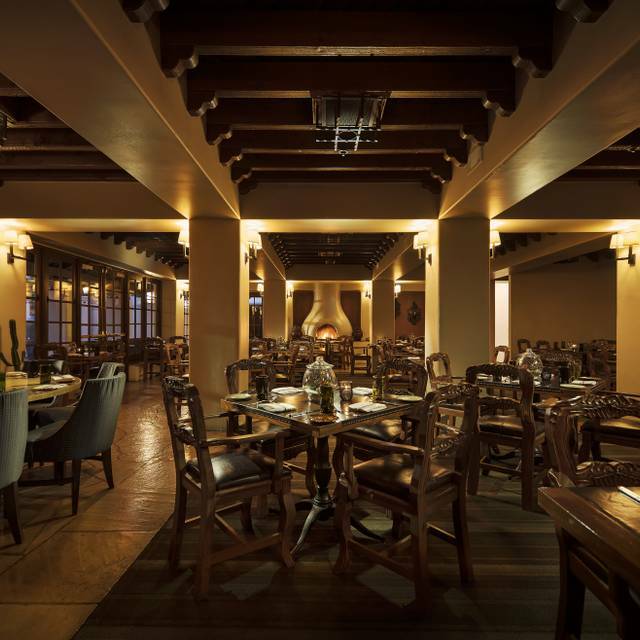 Signature items include gaucamole prepared tableside, braised beef short rib enchiladas, pan roasted chicken breast with traditional Mole, flaming coffees and much more! We look forward to seeing you. SALUD! Sea. Bass was great . Do the guacamole sampler delicious ! Let me be clear, my low rating has nothing to do with how our server treated us. She was phenomenal, and deserved every cent of the generous tip we left. The food, as always, was spectacular. My review has more to do with everything, and almost everyone else. I returned to the front and asked, as we had now been waiting for almost an hour. I was then informed two more times that my reservation didn’t really matter since groups were given priority over couples. The hostess walked away, leaving me standing alone. Several minutes later, we were finally seated. I asked to speak with manager, and was assured that he would only be a minute or two. 20 minutes later he appeared and we had a very nice conversation. I really liked the man, and he took full responsibility for how we had been treated. Let me be clear, once we were seated, our experience was incredible. I will eat here again, probably the next time I visit Scottsdale. Carnitas enchiladas were absolutely delicious.Our only complaint was the lighting level when we sat down at 7 pm. It was so dark we could not see the menu without using our phone flashlights. Later our eyes adjusted. Would recommend a little brighter table lighting. Loved the setting! The Fairmont is so beautiful! Fantastic, food, highly recommend dining her if in Scottsdale. Amazing food and service. We were in Arizona for only 4 days visiting and ended up eating there twice! Would highly recommend. There were a few snafus at during our dinner but our waiter went above and beyond to make things right. Service was amazing and the food we ate was fantastic. Apparently whomever decided how much food to order for the restaurant did not anticipate the sales meeting going on this week. But even though they ran out of the main course we ordered and didn't tell our waiter until it should have been on the table, he couldn't have taken better care of us. He was absolutely the perfect representative of excellent service in every way. Lobster tacos rule! Richard Sandoval has a terrific track record for interesting, creative, and well-prepared food. La Hacienda is no exception. Pricey, but well worth it. Everything was delicious. Took out-of-town guests here to experience the unique margaritas and guacamole sampler. Just this is a meal! Had the chicken quesadilla for the first time and it was amazing. Great food all the time. So much flavor I. Every dish. Great service. Sean has always been a great server who is absolutely passionate about the food. This is a definite must for “Mexican” food. La Hacienda is the best location for so many events. Date Night, showing out of towners Arizona, regular dinner, anything. On the grounds of the best resort in Arizona, this place is THE place to go. Great food, great ambiance, beautiful landscaping and decor. 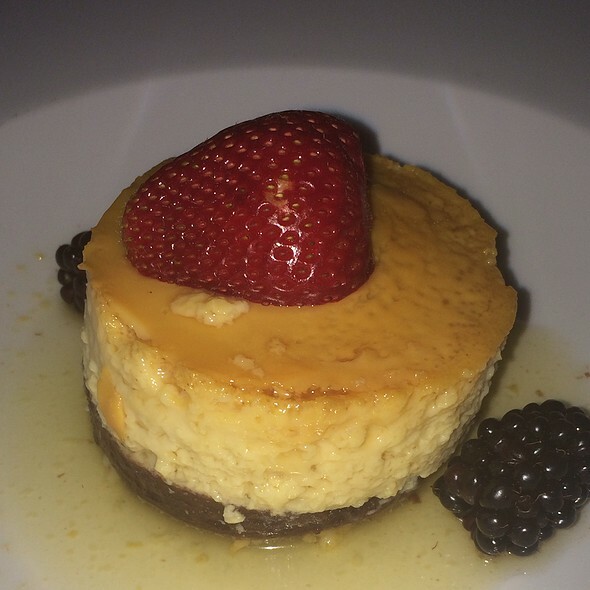 My best dining experience-ever! The food was delicious and the staff were so friendly. The bartender came to our table to ask if we had questions about our tequila fight. We had a lot! She was very fun, professional and knowledgeable! Atmosphere was perfect. Service was great our server was great. Appetizer we got guacamole it was delicious. But our food was not that great it was cold probably you can say chilli’s Food in beautiful atmosphere . Not worth the money . By far the best Mexican restaurant I have ever been to. Truly outstanding service, atmosphere and cuisine. Excellent food and absolutely excellent service. We couldn’t have asked for a better place to celebrate a special occasion! I highly recommend this restaurant to anyone staying at the Fairmont or in the Scottsdale area. The food and drinks were delicious and the service was superb, thank you Will. Order the Carnitas, thank me later. We love the remodel. Our waiter was fantastic. Everyone enjoyed the lime margaritas, chips and guac. Two of us had enchiladas that were outstanding. One had shrimp tacos and he was very pleased. The fourth in our party had fajitas which he ordered with mixed protein. All were good except the steak was quite tough. Overall we love this dining experience and will be back. We we were here over Christmas, not realizing how many more people would be on the grounds for the Christmas festival, the food at that time was disappointingly just ok. Our meal this past week was back to the wonderful standard we've always experienced in the past. The service is always outstanding! Well done!! A nice atmosphere. Server not friendly and when I asked for non alcoholic drink options he said there were none. I asked if I could have a flavored non alcoholic mojito and he said no because all of their flavors are infused in the tequila . Not super helpful or friendly. The server was amazing. So knowledgeable about the dishes and incredibly descriptive. The meals were all delicious, each with a unique and distinctive flavor profile. A do not miss restaurant! Outstanding, fresh food. Very friendly service. Noise level a bit too much for me; just obnoxious diners. From the food, to the service, to the ambiance, everything was amazing. Can't wait to come back. 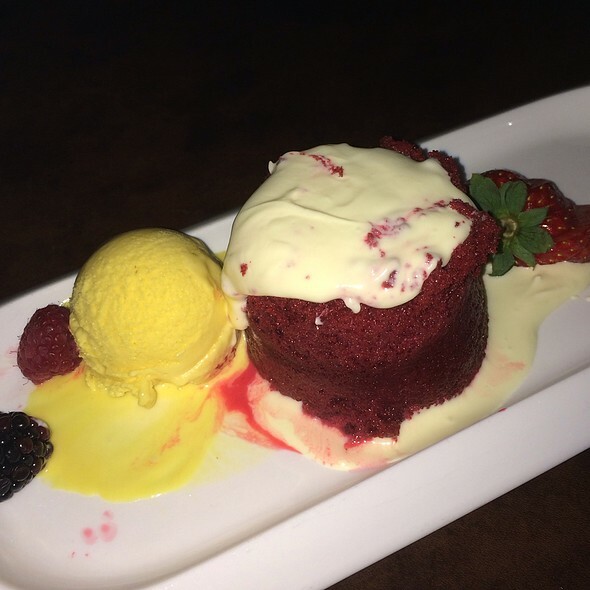 Ask for Sean K as your server, and save room for dessert. Need to get out on the remodeled patio next time. This was my second visit to La Hacienda, the first time after their overhaul of the menu. While I loved the original incarnation, the rebirth is outstanding. 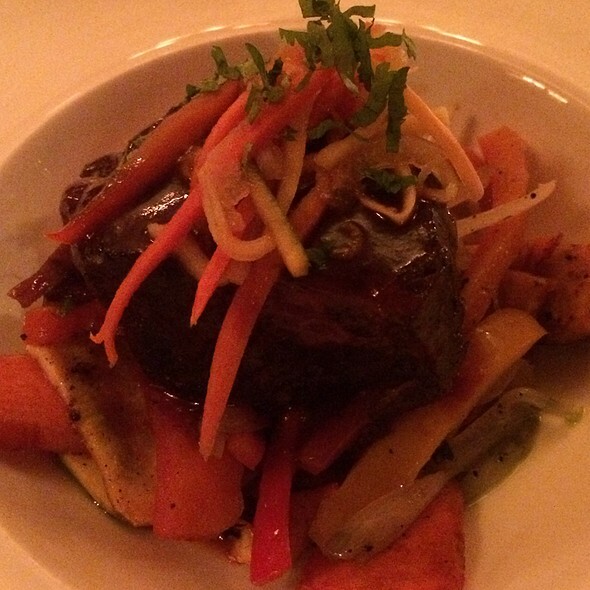 Try the short rib barbacoa. It's perfection. Food was good but service poor this visit. We dined at La Hacienda the same time last year and had a much better experience then. Loved the atmosphere on the renovated patio! 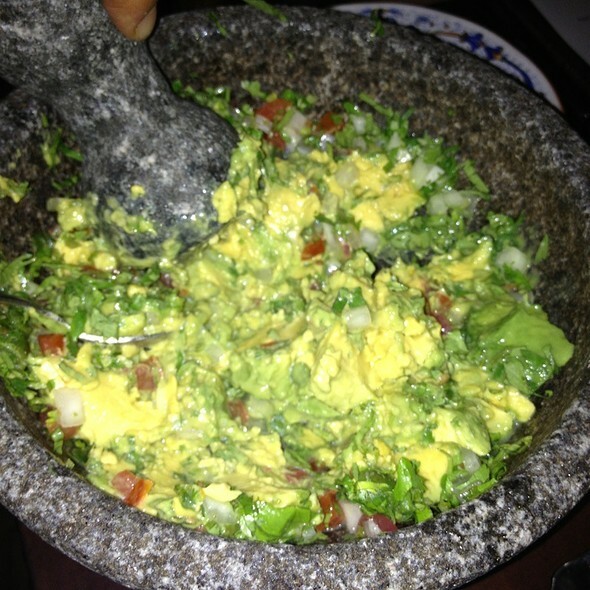 Food was good as always, especially guacamole. Enchiladas were delicious and on the healthier side without cheese. Love this place! The staff is always amazing!! Sean and Yuri are the best!! We had a wonderful dining experience at La Hacienda. The food was outstanding, superb quality, and flavor! We took part in a flight of tequila and found it very interesting to learn facts about tequilas that we never knew. Since changing the menu we have struggled to find dishes we like. They took away our favorite drink (El Diablo) and the new one is half the portion size with these awkward oversized ice cubes. We’ve been three times since the new menu and I’ve ordered something different each time. I haven’t loved anything. The guacamole sampler is still delicious. They need to bring back the carnitas tacos! We’ve been coming for the last ten years, this was the first time where the service didn’t have a personal feel. This doesn’t mean it was bad, but it wasn’t quite as nice as in the past. One of the most fabulous restaurants ever. My kids were even raving about it. Overall, it was a good experience. The food was good, but nothing great in my opinion. Our server was helpful and attentive for the most part. He had a big party as well as several other tables, so he was moving quickly. Restaurant ambiance and decor was very nice. My actual birthday was today and we celebrated with friends on Saturday night at steak 44. I was craving the shrimp enchiladas! Our server took our drink and appetizer order and was gone forever. He had so many large tables sitting. Finally he took our order, we received our food and he never checked back to see how dinner was. Boyfriend said his steak was over cooked and they forgot his side of flour tortillas. We finally asked another server for our check and finished our drinks at the the bar. The bartender said there was only 3 servers serving on the patio and they could be why we had that service. Enjoy making the money now because in the summer it will actually matter when you have tables come in. The best part of our dining experience was our server! He had quite the enthusiasm for everything we ordered! Made it a fun evening! Food was great and the staff were wonderful! The food was great and the service was great! It was a family get together. The outside patio was perfect for 11 of us. It was great. First time since the remodel. Very nice updated dining experience. The food was excellent! My only complaint was the service staff was a little over zealous. Different people kept stopping by the table asking if we were finished with out drinks, did we want to keep the chips, can they take away the guacamole. Too many interruptions.